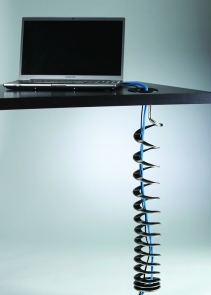 Impress your clients with one of the most stylish cable managers on the market. 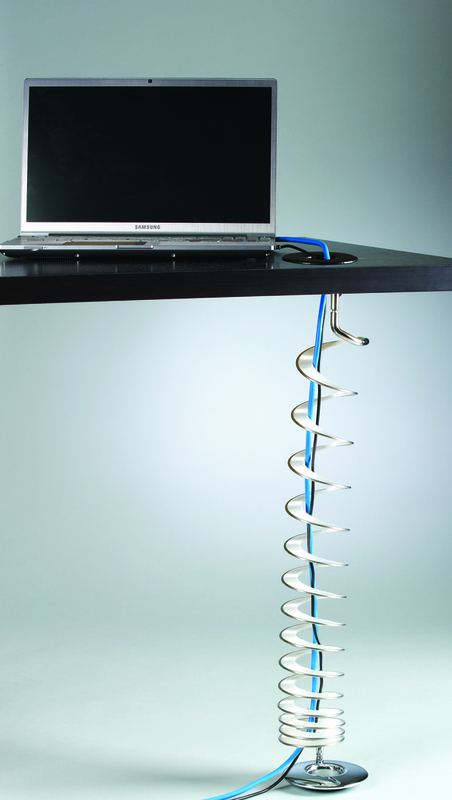 Ideal for both standard and sit-stand desks, this modern coil system has stainless steel rings impregnated with different color brushes to keep wires under control while adding an element of modern design to the home or work environment. 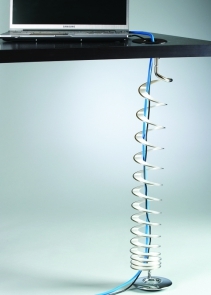 The Helix is weighted by a smooth, shiny metal base and comes with mounting hardware. 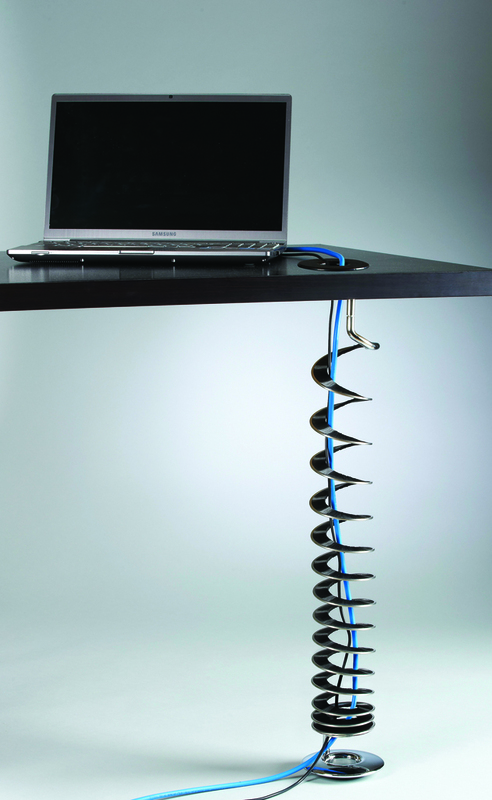 Designed to provide a wire management solution for sit/stand desks. 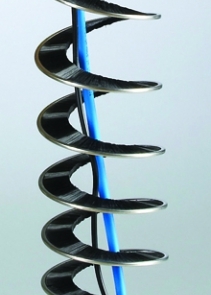 For 15-ring Helix, minimum height is 7.00” and maximum height is 43.310”.